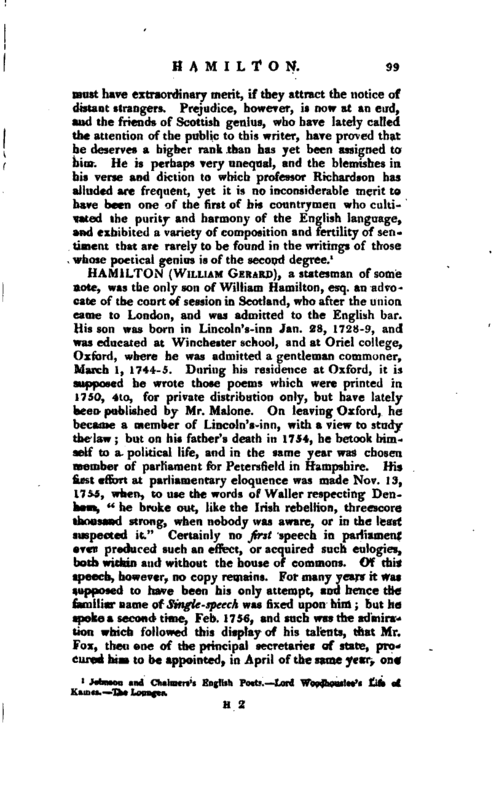 , of Bangour, an ingenious poet, was the son of a man of fortune and family in Airshire, where he was born in 1704. 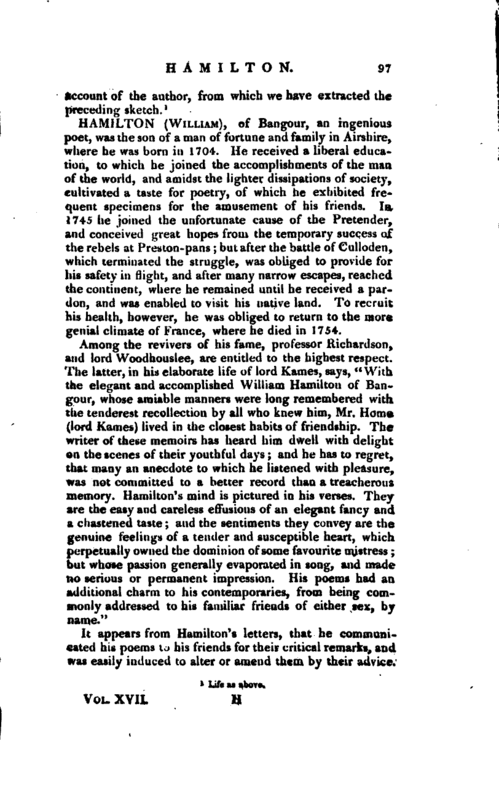 He received a liberal education, to which he joined the accomplishments of the man of the world, and amidst the lighter dissipations of society, cultivated a taste for poetry, of which he exhibited frequent specimens for the amusement of his friends. In 1745 he joined the unfortunate cause of the Pretender, and conceived great hopes from the temporary success of the rebels at Preston-pans; but after the battle of Culloden, which terminated the struggle, was obliged to provide for his safety in flight, and after many narrow escapes, reached the continent, where he remained until he received a pardon, and was enabled to visit his native land. To recruit his health, however, he was obliged to return to the more genial climate of France, where he died in 1754. 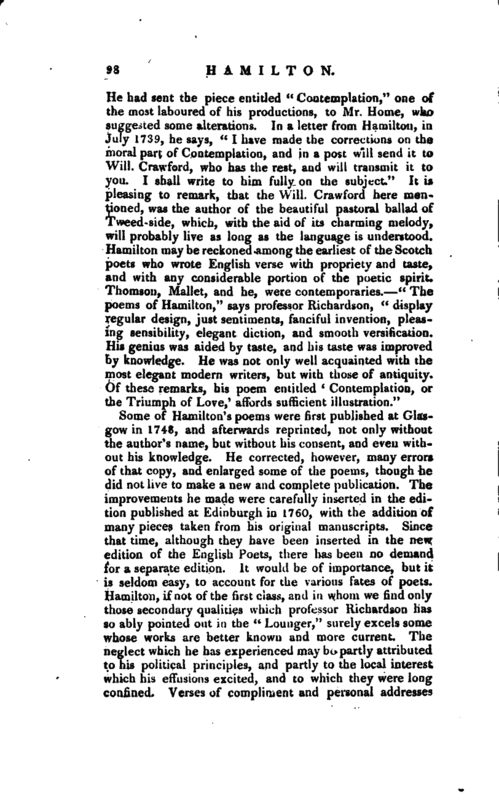 1 Johnson and Chalmers’s English Poets. Lord Woodhouslee’s Life of Kaaics. The Louoger.